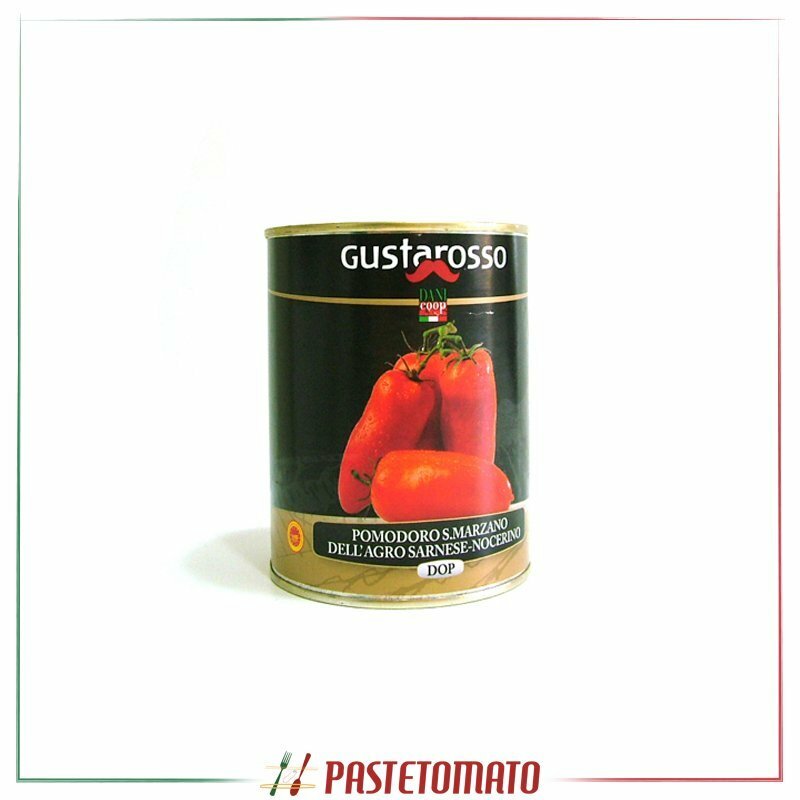 Gustarosso is trademark of DANIcoop is an agricultural cooperative with more than 100 members and one of its main activities is marketing San Marzano PDO plum tomatoes. Our cooperative supports the Presidio Slow Food foundation with regard to, is entered on the Fattorie Didattiche (educational farms) register of the Campania Region and is a member of the farmers association, Coldiretti of Salerno. DANIcoop meticulously supervises the entire production process of San Marzano tomatoes, supplying our member with plants and providing them with technical assistance throughout the transplanting, growth and harvesting phases. Behind every can of San Marzano tomatoes marketed by DANIcoop there is a production chain, made up of farmers, experts and controls of the raw material, working to bring our country's best products into the homes of the consumers. Il pomodoro di San Marzano dell'agro sarnese-nocerino (DOP) è una varietà di pomodoro riconosciuta come prodotto ortofrutticolo italiano a Denominazione di origine protetta. Il nome proviene dalla città di San Marzano sul Sarno, dove ha visto la nascita. Ha una forma allungata e le sue caratteristiche (polpa compatta e carnosa, poco acquosa e con pochi semi) lo rendono molto adatto a una cottura veloce che permette di conservare un sapore più vivace nella salsa di pomodoro. Compared to the Roma tomato, San Marzano tomatoes are thinner and more pointed. The flesh is much thicker with fewer seeds, and the taste is stronger, sweeter and less acidic. Many people describe the taste as bittersweet. The San Marzano vines are indeterminate and have a somewhat longer season than other paste tomato varieties, making them particularly suitable for warmer climates. As is typical of heirloom plants, San Marzano is an open-pollinated variety that breeds true from generation to generation, making seed saving practical for the home gardener or farmer. Amy P. Goldman calls the San Marzano "the most important industrial tomato of the 20th century"; its commercial introduction in 1926 provided canneries with a "sturdy, flawless subject, and breeders with genes they'd be raiding for decades." Though commercial production of the San Marzano variety is most closely associated with Italy, seeds for the variety are available worldwide. It is an heirloom variety. Canned San Marzanos, when grown in the Valle del Sarno (valley of the Sarno) in Italy in compliance with Italian law, can be classified as Pomodoro S. Marzano dell'Agro Sarnese-Nocerino and have the EU "DOP" emblem on the label.